Skiing off piste in the Alpine wilderness is a dream that is coming true for more and more people. Skiers are quitting the groomed pistes in droves to ski tour in the mountains and every year we see more and more people of varying levels of competence and experience making their way up and down the mountains on skis and split boards. My ski touring adventures started in 2003.... and looking back I was very lucky for lots of reasons! The methodical skin up with it’s calming and almost meditative effect was suddenly broken with a rush of adrenalin as I tried to master kick turns on a steep, icy slope. There was the sheer elation of arriving at a summit and the constant panorama of snowcapped mountains as far as they eye could see. I was in awe. Skiing back down was the biggest challenge of all. There were the spectacular face plants, splits in the snow, collisions with rocks (luckily no damage) and the rare, but very prized and privileged sensation of managing perfect turns in fresh virgin snow at 3000m. It was an adventure in the mountains I will never forget and was my inspiration to move to the Alps and set up Undiscovered Alps, the forerunner to Undiscovered Mountains. More than 10 years on, my passion for ski touring is as strong as ever. Every year I see more and more people heading into the mountains, ski touring and I know they’ve got the bug. There are so many aspects to ski touring so it is difficult to pinpoint the exact thing that makes it so addictive. It is surely a combination of reasons that are different for different people. Maybe it is the element of risk of being in the mountains. It could be the feeling of embarking on a true journey into the wilderness - an escape from civilization. With the well documented growth in endurance sports, there is of course the physical, cardiovascular challenge of ski touring, especially for those trying to break ascension records. There are the powder hunters who are prepared to skin up for hours to reach the best fresh snow for a once in a lifetime descent uniquely reserved for those who have made the effort to get there. It could quite simply be the new adventure that piste skiers are looking for. I can understand these motivations whole-heartedly. However, there is also something worrying about the growth and popularity of ski touring. It is a dangerous sport and people die every year in avalanches and ski touring accidents. As it becomes more and more popular, sadly the number of accidents will increase. 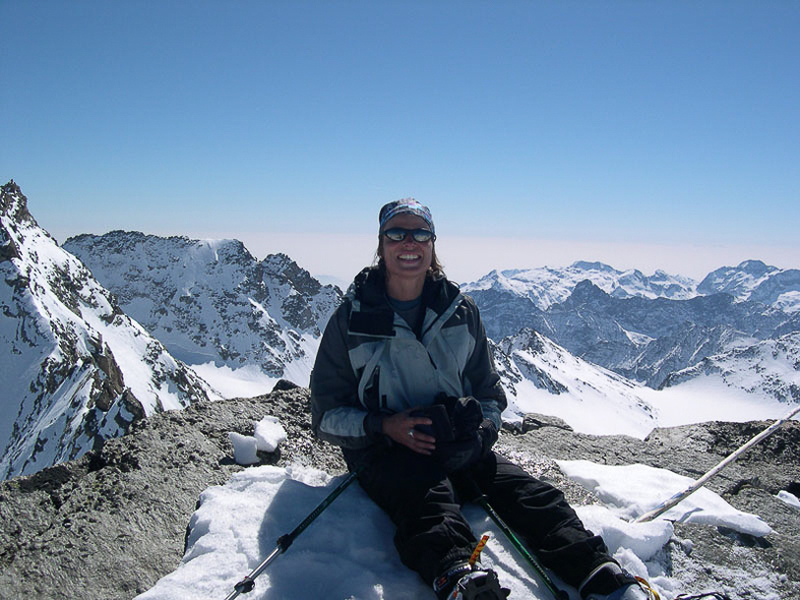 My advice to anyone with the ski touring bug or who is inspired to try it out, is to go with a qualified UIAGM high mountain guide on an organized trip. A guide can’t prevent an avalanche from happening but will have a much greater awareness and insight into what will trigger one to avoid it! 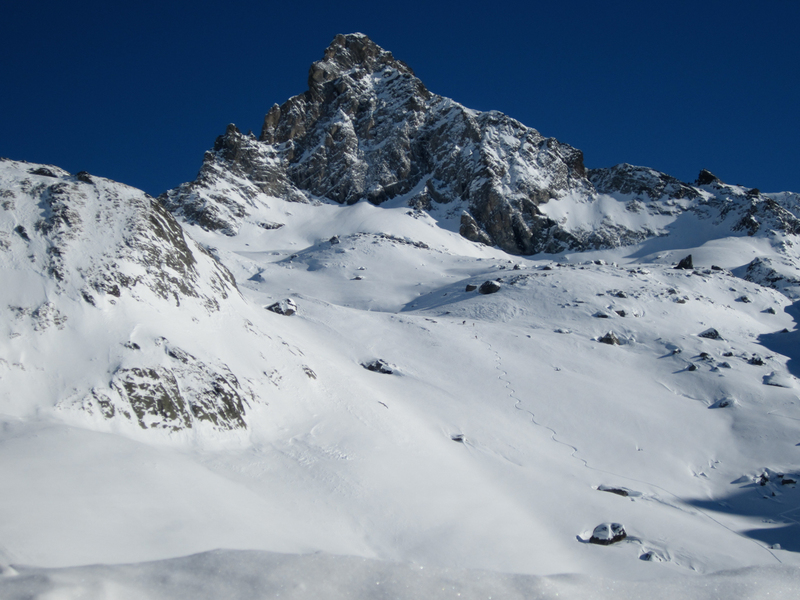 Have a look at our Introductory Ski Touring Trip in the Ecrins or our refuge to refuge trip in the Queyras for good suggestions or have a browse through all our Ski Touring Holidays! It is also important that you have the fitness levels and skiing skills required to be safe. You can read our other blog article to see if you have got what it takes to embark on a ski touring adventure in the Alps.